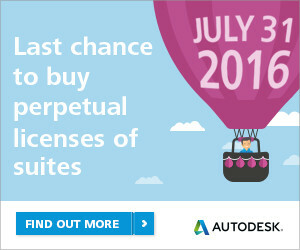 New perpetual licenses of Design and Creation Suites will only be available until July 31, 2016. You can continue to use your existing perpetual licenses, and, with an active maintenance plan, you can access the most current software versions as well as many other benefits for as long as you would like. Plan ahead and purchase additional perpetual licenses while they are still available. Contact us today.